Truly useful teachers and teachings. You may already be on the path and have a strong practice; if so, awesome! Even so, you may still find the following suggestions good as a form of due diligence and a sanity check. All paths aim for Light but the path should be tailored to an individual's specific karma (as shown in the Vedic astrology chart). Just as the Milky Way galaxy gracefully adorns a dark night's sky with endlessly sparkling lights and forms, so too does the Divine Mother bespangle all the places of this universe with spiritual Light. To our utter good fortune, spiritual masters and advanced spiritual seekers still honor this world with their presence. Most spiritual traditions place the chance to associate with such devotees of higher knowledge at, or near, the top of the heap of helpful tools for true spiritual development. For instance, in Buddhism, the term kalyāṇa-mitta (good, virtuous or admirable friend) catches the gist and designates a spiritual teacher or fellow spiritual seeker who provides you the opportunity to develop similar noble qualities. In short, the greatest luck you, or anyone, can have is to meet and learn from, or spend time with, such spiritual friends. These folks have paid the price and invested time and effort into their own spiritual development. You can too. But it really helps to have such truly good company along the way. While not everyone you meet will be enlightened, everyone that comes you way can have a useful part to play in your progress. Here are some suggestions to help you continue your unfoldment successfully. The term, "spiritual qigong" simply means the use of qi (energy) to cultivate higher awareness. Thus, spiritual qigong is one of the major tools a Daoist yogi employs along the way to Light. The first step on this path centers on finding one's deeper heart and values (who you are beyond all social and environmental conditioning). To achieve this requires both shamanic work (counseling, psychotherapy) and energy work (qigong, yoga) to shift out old patterns and bring in an authentic and more vibrant sense of who you really are. The type of qigong done by a yogi gradually gets more subtle and powerful as she or he progresses. The first type is called weigong (outer qigong) because the practices use physical movements, especially of the limbs, to sense qi on, and around, the body. Hence, the term "outer." Weigong actually consists of two words: wei (outer) and gong (skill). With some talent in weigong, a spiritual seeker can fruitfully cobble together an appropriate fix for the first spiritual step of finding one's authentic nature and heart. ANY simple introductory Qigong course will do to start. The course should be easy and not involve complicated movements or intricate theory—that's for later. Just get a sense of what qi feels like. It needs to be a qigong class and NOT just a hatha yoga class that includes pranayama (breathing). Any of his qigong videos are fine as a simple introduction. His video, Qigong Fundamentals for Beginners, is an ideal example of what you should aim for at first. The next step aims to develop qi flows, especially in the limbs. Sound arcane? Guess what. Here's a quote from the Daoist scholar, Zhuang Zi, written at least twenty-two hundred years ago, "The breathing of the ancient truthful persons (Daoists) was deep and profound. They used the soles to breathe, while seculars (ordinary folks) used the throat." That is, a true Daoist (practitioner of Chinese yoga), can course qi through her or his feet to and from the earth itself. This technique, called yongquan (sole) breathing, firmly undergirds and shoulders ALL more advanced qigong. Simply, if you cannot fully ground into mother earth's natural qi field you cannot fully progress to higher levels of awareness (part of your being's shadow side will still be tethered to the earth). So, in the symphony of techniques, this is the big leagues. Some forms of qigong start to work with meridians and chakras at this stage. In Neidan yoga, meridians and chakras are introduced at this stage as preparation for working with the higher Jyotish (Vedic astrology) archetypes. A contemporary teacher with wide experience in the internal martial arts (which include qigong). He's got loads of courses. The following two qigong sets are samples of what you should learn at this stage. The third item on longevity breathing is essential for you to understand since, if there's not much oxygen coming in, there's not much qi flowing. Highly recommended! You can search for "Dr. Yang qigong"
Though not the whole story, Dr. Yang provides the best single introduction to the whole path of spiritual qigong. He, too, has lots of courses but only a few are especially relevant here. Bits and bobs of the following titles are entirely insightful and instructive on learning how to flow qi through the limbs (palm breathing, sole breathing, four gates breathing, five gates breathing). They also explain normal and reversed abdominal breathing which you need to pick up at this stage (preferably after you have some skill with, at least, palm breathing). the others are more suited for the following levels of work (see Daoist Yoga) but if you're a camper there's no harm in watching them now. Just watch them again later when they will bring added richness. One of the founders of the British Association for Vedic Astrology (BAVA), Komilla adds emotional sensitivity and awareness to her teachings so that one learns not only the basics but how they relate to inner transformation of heart and mind. She offers a series of one-year online courses that progressively cover all essential Jyotish skills. The first course in the series serves as an overview of the entire range of Jyotish techniques so it is one of the best bets for getting a solid foundation without having to train for years and years. An engineer turned astrologer, he learned basic and advanced Jyotish as a child at the feet of his grandfather (a renowned astrologer to royalty) and his uncle (also a well-respected Jyotishi). The family tradition traces back many hundreds of years to Achyutananda Dasa, a sixteenth century poet, scholar and close follower of Chaitanya Mahaprabhu, the greatest Krishna (कृष्ण, Kṛṣṇa) devotee of his day and a tremendous proponent of loving devotion (bhakti) as a means to worship the Divine. The purity of this lineage shines through in Sanjay's teachings and provides one with a clear sense of the spiritual purpose and place for the astrology being taught. On the surface, of course, his classes are competent and even technically brilliant at times. As such, Pandit Rath's courses are pretty much unique since they are accessible online, taught in comprehensible English and all have a strong spiritual orientation to them. The challenge here is that they are involved and require serious focus and effort to master. However, if you are after the best of the best without wanting to uproot and spend a decade or so in India or elsewhere, then this is the real deal. Parashara Jyotisha Course (PJC) — at present, this is a four-year training in the foundational text for all of Vedic astrology known as the Brihat Parashara Hora Shastra (BPHS); these four years cover a lot of material but not all of BPHS; however, the missing bits and pieces can be picked up in other DVDs and materials by Pt. Rath and his senior students. The knowledge covered here is priceless and should be studied first—before any more esoteric topics. Jaimini Scholar Program (JSP) — an advanced five-year training based on the Jaimini Sutras that is esoteric and heavily oriented towards a spiritual understanding and application of Jyotish principles. The ideas here are beyond priceless but not really comprehensible without a solid footing in the BPHS. An ideal road into and through the world of Vedic astrology would start with Komilla Sutton's one-year introductory course on Jyotish and then progress to Pt. Rath's four-year PJC course and finally arrive at the rarefied way station of the Jaimini Sutras as taught in the five-year JSP course. Without all the time and resources in the world to learn Jyotish, you can still make serious—and worthwhile—progress. How? Toss a rock into the air and wherever it lands, just begin there. That is, budget some regular time to study either an online course or introductory text and get started. As you study and begin to apply these ideas you probably will find that the very act of such study begins to change things in your life palpably. If you send a message to Life that you're really interested in learning this useful spiritual knowledge then somehow, someway, Life will open doors for you. Trust the process. It does happen this way for everyone. The word, yoga, comes from a root that means to yoke; in a spiritual sense then, yoga means to yoke oneself (atman; the individual soul) with the Divine (Brahman; the Great Soul). Endless variations of this timeless theme endlessly waft across the pages of human experience. And, for good reason. One of the great aims of life in Hindu tradition is moksha (liberation or spiritual growth toward the Divine). So, ostensibly or as a subtle tug, the practice of yoga—in some form—calls, or whispers, to all. These web pages concentrate on the most direct yogic route to Light which entails energy work (qigong, pranayama) and meditation along with the usual fare of moral precepts and personal qualities such as right thought and action. If some other spiritual path calls to you, by all means follow it. In this world, the single most important expression a human can make is to grow personally and spiritually as best as she or he can. The details of how you practice spiritually are second to the fact that you are trying at all—and trying in a sensible way that is suitable to your current abilities and station. The further you go along your path, the more doors will open and the deeper and more genuine your experience will become. This is the promise of all great spiritual masters and adepts. Quite the fad these days, hatha yoga has swept the west and now finds itself the darling of a mammoth money-making machine that pushes everything from casual wear to eco-friendly water bottles and yoga mats. One upside to this cozened appropriation has birthed hatha yoga styles with much more anatomical precision and physiological sensibility. So, just about any form or school of yoga these days will do just fine to get you started. Ashtanga Yoga, as originally taught by K. Pattabhi Jois, still holds ground near the top as an effective hatha practice that maintains some sincere connections with traditional spiritual values and customs. However, if you'd like to take it further then make sure your classes include some pranayama and meditation. Here are a couple classic schools that aim for true spiritual transformation through all the tools of yoga (and not just hatha yoga with some trendy meditation, breathing and chanting thrown in for show and good effect). It all depends on what you are after. Named after Swami Sivananda, who did much to popularize authentic yoga in India during the first part of the twentieth century, this style follows Swamiji's intentions and seeks to cultivate all aspects of yoga but with an especial emphasis on hatha yoga, pranayama and meditation. You can find schools and retreat centers worldwide. This style was promoted by Swami Vishnu-devananda, a direct disciple of Swamiji. Another disciple of Swami Sivananda, founded the Bihar School of Yoga in India which remains obscure in the west but fortunately, he wrote a couple brilliant books which still offer the best sense of what real Hindu yoga (energy work and meditation) is all about. Every intent yoga practitioner, from whatever tradition (whether Tibetan Buddhist, Daoist, Kundalini Yoga or whatever) should read both these books as they provide a valuable framework for spiritual practice in general. A tantric path, Tibetan Buddhism, incorporates both traditional yogic techniques (as found in Hindu yoga, for instance) and more earth-oriented shamanic techniques (which first came from the native Bon religion). As this website explains, three different vantages can be held for any experience. Examples abound. Here though, consider the brain. Three styles of behavior described in business and psychological literature correspond to left-brain, right-brain and whole-brain thinking. 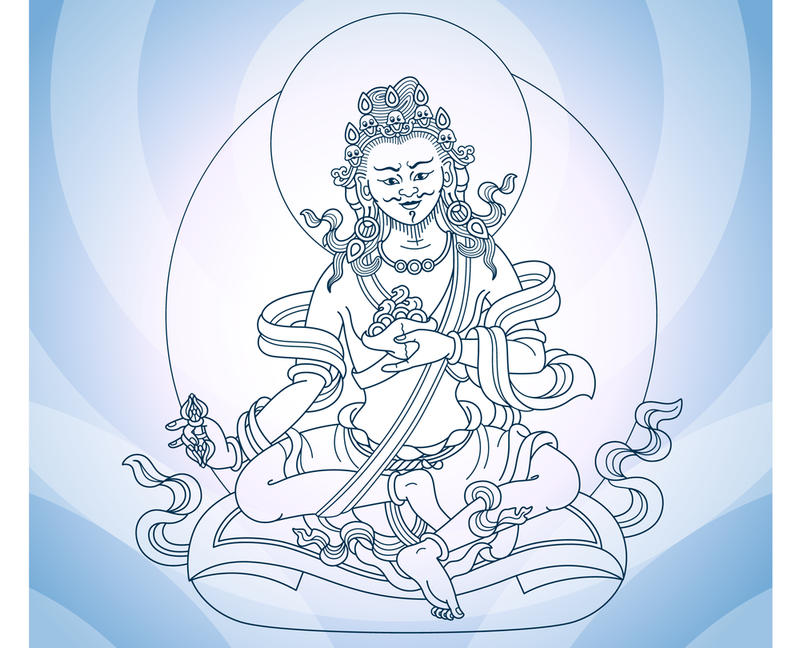 In Tibetan Buddhism, Mahāmudrā represents the whole-brain approach as it emphasizes developing both left-brain (concentration; śamatha) and right-brain (mindfulness; vipassanā [or vipaśyanā]) skills and then working towards their simultaneous activation and subsequent integration (whole-brain activity). There are other styles, the most famous in the west being Dzogchen (a predominantly right-brain approach). This balanced approach helps characterize the entire yogic quest. The following text provides an excellent, understandable description of this entire path from start to finish. It's a seminal work and worth reading by all serious aspirants—again, regardless of putative affiliation. The second reference, by the same author, is a chapter in another book and compares the Mahāmudrā approach to other comparable yogic traditions (Hindu yoga, Theravadin Buddhism). Just search for your favorite style of Tibetan Buddhism and you will find lots of great resources. Some centers offer ongoing courses and programs (even up to 10 year programs) so if you're after genuine yogic practice there are some real opportunities available. The main challenge, as usual, is having the time and resources to invest in such training. But some of these programs are crafted with this in mind so even folks leading regular lives now have the precious opportunity to study and practice true dharma. 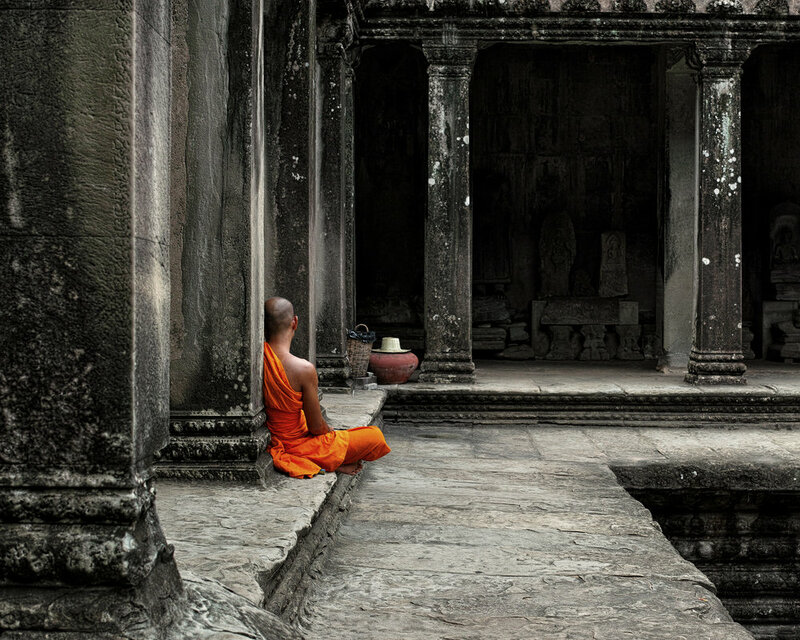 Like Tibetan Buddhism, Daoism incorporates both traditional yogic and shamanic techniques but its emphasis on shamanic practice is even greater. Thus, Daoist yoga gives the clearest and cleanest glimpse of how to proceed from beginning stages of yogic practice to the intermediate levels of accomplishment. Tibetan Buddhism provides the best map for progress from intermediate to advanced levels (generation stage to completion stage). And, because Hindu yoga chiefly concerns itself with advanced levels of meditation, it offers the keenest guidance for this level of the work (completion stage). Of course, all three yogic traditions have excellent techniques and advice for all stages of spiritual practice. Still, because each has a particular flavor of going about the business of achieving enlightenment, it stands to reason that one should respect these especial nuances and cull out what can usefully be incorporated into a consolidated practice. This is the level of yoga practice where Daoism shines. Once you can sense qi (prana, energy) you then learn to direct it along energy flows inside the body and gradually learn to focus the qi at chakras and other acupoints. The following two teachers both studied internal martial arts and Daoism for many years while living in China. They both became Daoist priests and offer westerners some of the most grounded and useful advice for this stage. A licensed physician in China, Dr. Johnson has produced a series of exceptional texts and DVDs on medical qigong that are unparalleled in the west. While you might wonder what this has to do with yoga practice, the actuality is ... a lot. Medical qigong generally seeks to clear out blocked patterns of qi. Learning even a few of the techniques will arm you with enough prowess to clear out blocked chakras and inner channels (suṣumṇā, iḍā, piṅgala). 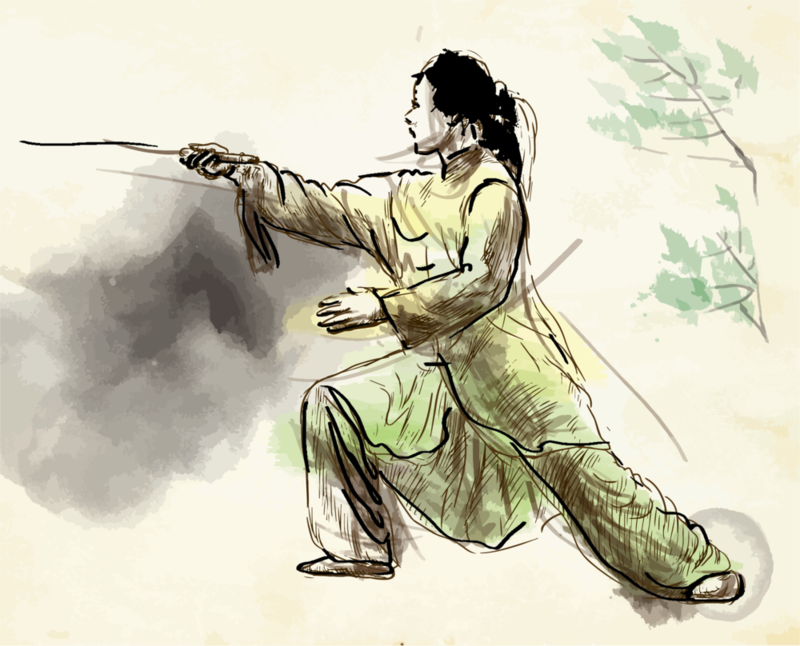 Following a similar path of personal and spiritual development in China, his great gift to westerners is a marvelous and detailed presentation on Baguazhang (Bagua Zhang), a Chinese style of kung fu. The word literally means eight trigram palm. 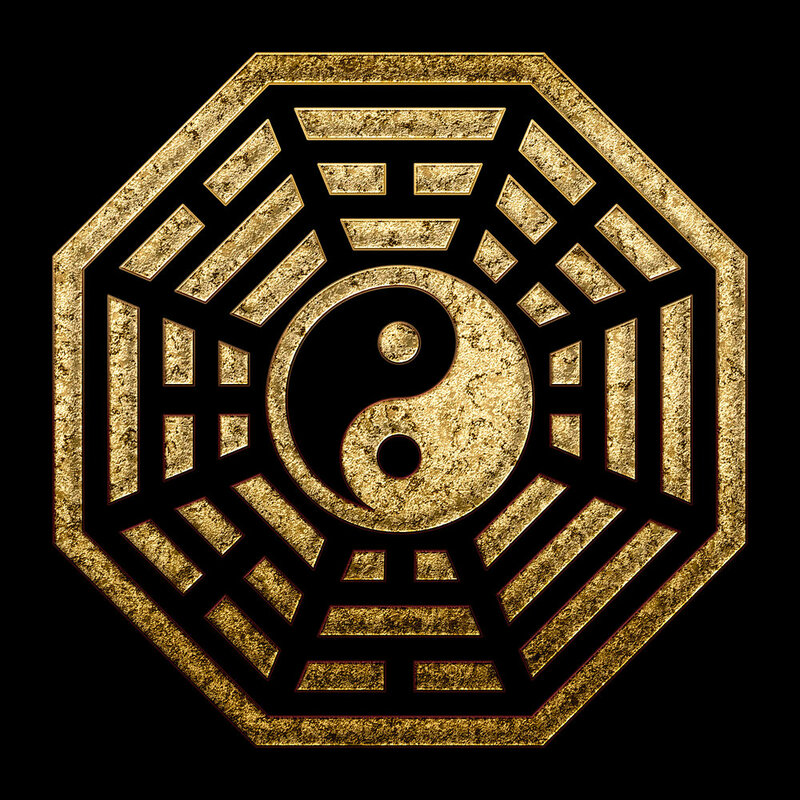 The "eight trigram" part relates to Daoist theory and the "palm" part indicates a martial art. This style employs continuously weaving and shifting movements. The fundamental practice, called circle walking, seems deceptively innocent but can lead to incredible gains in fluidity and speed. Although Baguazhang enjoys fame mostly as a premiere form of martial art, its circle walking practices can be—and are—used to develop exceptional states of mental focus and presence. This application of circle walking is quite similar to the Zen Buddhist walking meditation known as kinhin. However, the Daoist application of circle walking goes beyond mere mindfulness (as in kinhin) to include a concomitant cultivation of qi. So, gradually the focused attention of a person walking the circle becomes more and more subtle as it tracks an increasing ability to sense and manipulate qi (energy). Neidan (inner elixir) represents the most advanced stage of Daoist yoga practice. It corresponds to completion stage practices in both Hindu yoga and Tibetan Buddhism. For instance, the Tibetan Buddhist completion stage practice of developing a light body (energy body independent of a person's physical form) is entirely the same as the Daoist practice of spawning a spiritual embryo (the spark of this energy body) and then cultivating its full manifestation into an independent light body for the practitioner. Now, Daoism has few active masters teaching in the west so it has remained a relatively obscure tradition even to this day. In general, any information about the most advanced Daoist practices is either obscure (simple translation of ancient texts without helpful commentary) or plain missing. The only real way to learn a complete Daoist yoga practice is to live in China and study directly with Daoist priests and monks. For those who don't have this option, the best bet is to learn as much about advanced Hindu yogic and Tibetan Buddhist practice as you can. This way, you have a base from which to judge the Daoist information you gather and the teachings you receive. After all, any advanced yoga practice will be aiming for similar goals and using similar tools. However, the full practice details for the most advanced stages of neidan as described in the Daoist literature still need to be gleaned. They have not been made generally available to the public by anyone. Fortunately, a few folks have some experience at this level. 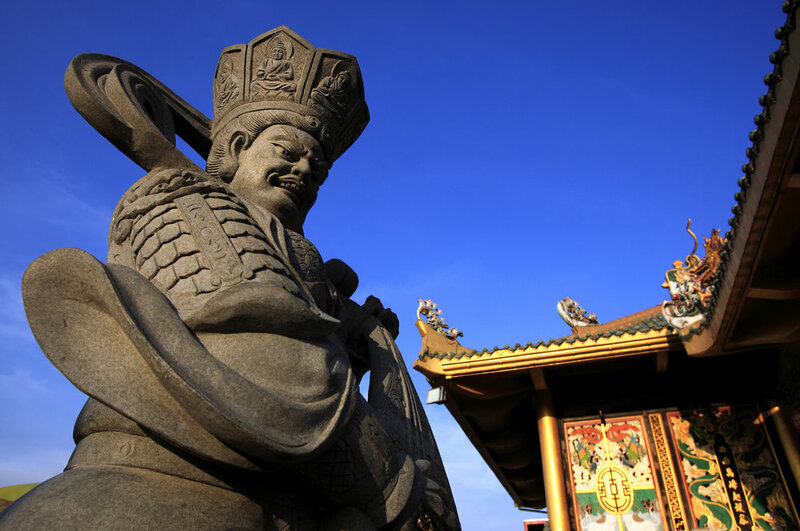 Although not a Daoist, nor trained specifically in Daoist yoga, Dr. Yang does provide some important details relevant to the advanced qigong practice at this level. He especially clarifies the sequence of qi skill development up through consolidating qi at the mud palace (ajna chakra; third eye) and linking it with qi at the lower Dantian (internal abdomen). The following three books are essential reading and cover qigong practice that spans from later stages of neigong to beginning stages of neidan. 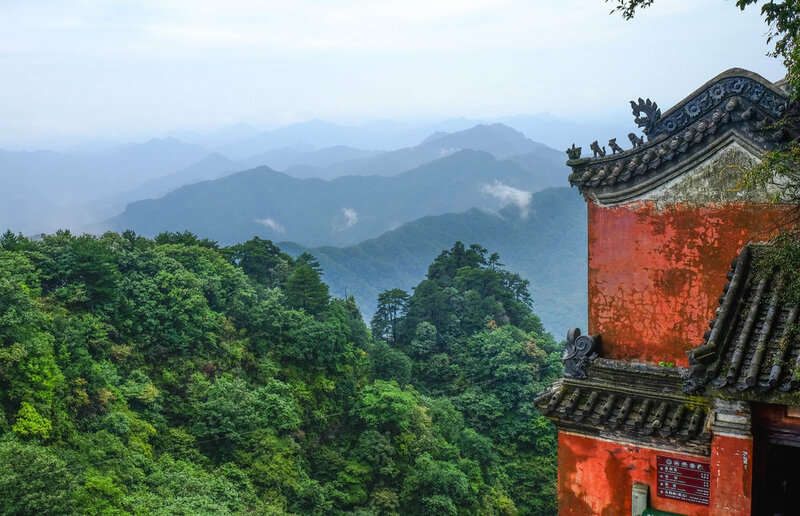 An acupuncturist and widely-trained martial artist, he has studied on and off at Daoist monasteries in China for many years. He's still in the process of learning and mastering neidan but his book on the subject does add some clarity to a few of the beginning and intermediate techniques. Although it is not enough to go on by itself, the book is worth using as a reference to compare with other sources of information. Building on the materials presented in his set of medical qigong texts (refer to the Neigong section just above), Dr. Johnson has provided an excellent synopsis and some valuable instruction on Daoist practice relevant to neidan. The following text is the best single resource you will find to help you get started at this level—it respectfully explains the magical side of the work while grounding in practical and useful techniques. However, the book is NOT self-standing. No books on Daoist practice are. You need to harvest from several sources. 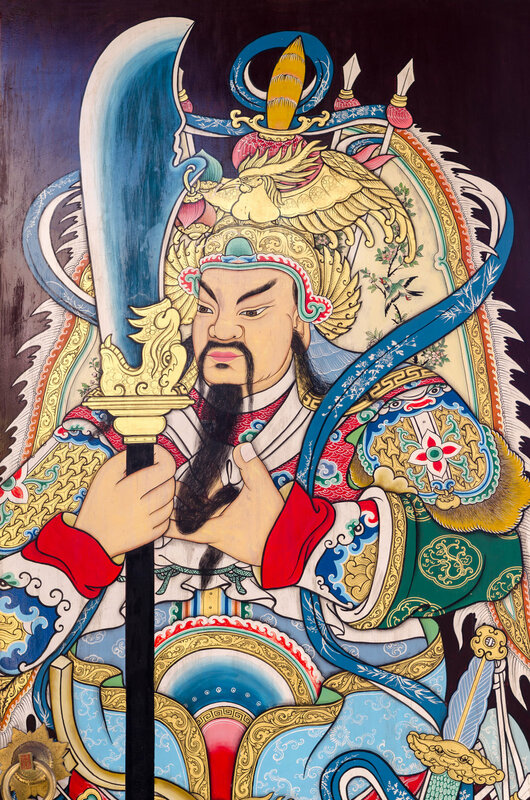 It's a certainty though, that if you study this book along with all the other quoted resources in this section on neidan you WILL have a solid framework for what the practice is all about—even without having set foot in a Daoist temple or traveling to China. That's a next step, for the serious. For now, this all is truly plenty to get you going the right way.